Lock in a great price for Agriogido - Rupicapra Apartments – rated 8.7 by recent guests! The locations is perfect. The bedrooms are spacious and with authentic look. The host is a great person. The host was excellent and accomodated us when in need for a different room! Gave us a nice tour in the village and gave us tips on where to eat and where to go. We had a great time in Agriogido apartment. 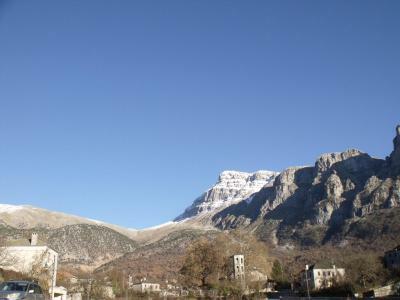 The location is wonderful, the appartment is well equipped with a beautiful grape vine and view to the mountains. The owner George is wonderful, very kind and interesting person, and a caring host. We highly recommend this accomodation. Unbelievable, picturesque location. Comfortable, big apartment. 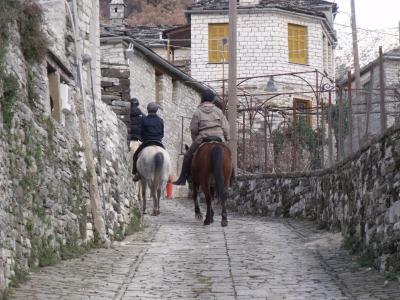 Host was very helpful and nice, helped us a lot finding the best trail to hike on. Apartments are totally separate, you have no immediate neighbours. Fantastic view from outside these apartments. The apartment was furnished well and in a rustic style with some hand built wooden furniture, old timber pieces and a fireplace which added to the ambience. The owner checked us in within 10 mins after we arrived around 8.45pm after driving all afternoon. Great price in Papingo compared to other places I saw on the web, and very comfortable. Giorgos (owner) has been very helpful, polite and always there for us. All his advice and suggestions made us have a great time! Location is great, loved the coziness of the place. The location is fabulous! Just next to a parking lot with a gorgeous view on the mountains. The Rogovo pools are 15-20 min walk from the house. The owner Jorgos is a great host. Very nice and kind. We have enjoyed our stay and definitely we’ll be back. 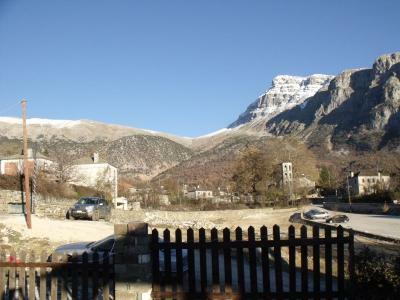 One of our top picks in Papingo.Rupicapra is a complex of 3 lovely, traditional stone-made villas located in over half an acre of mountain rural area in Zagori, Megalo Papingo. The villas are made entirely of natural materials: gray slate stone and wood. They fit into the surroundings. The villas are self-contained, with a fully equipped kitchenette. 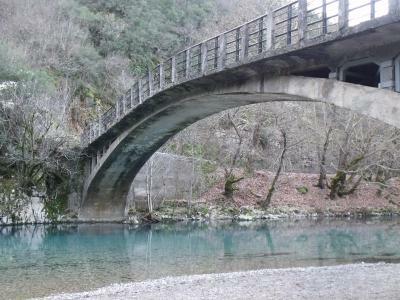 The location is ideal to discover Zagori area, including the National Park of Vikos-Aoos (with Vikos gorge), Voidomatis river, and the Dragon lake (Drakolimni). 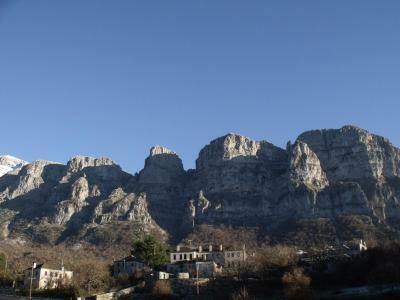 Papingo village itself is a traditional stone-made village, located in a picturesque and breathtaking landscape. The place is ideal for nature lovers. There are opportunities for mountaineering, hiking, trekking, rafting, kayaking, bicycling, horseback riding, and canoeing in the area. 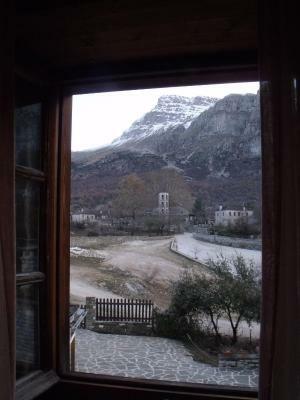 When would you like to stay at Agriogido - Rupicapra Apartments? Traditional style room featuring a fireplace, TV, free Wi-Fi, stone walls and wooden ceiling. Offers mountain views. Free use of kitchenette and fridge. Traditional-style apartment featuring a fireplace, TV, free Wi-Fi, stone walls and wooden ceiling. Offers mountain views. 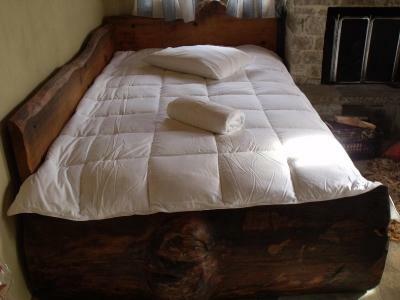 Traditional-style apartment featuring a fireplace, TV, free Wi-Fi, stone walls and wooden ceilings. It offers mountain views and it also includes 2 bathrooms and a refrigerator. Located on the 1st floor, this room features panoramic mountain and Papingo views. Offering mountain views, this room includes a fireplace, stone walls and tiled floors. This holiday home has a soundproofing, fireplace and kitchenware. Hello everybody! The stone-made cottages were built in 2007 with respect to the local architectural style. You could hire an entire house / apartment or just a room. Ideal for families with children or group of friends who wish to have privacy and & cooking facilities (also not to disturb neighbors! ;) ). The cottages are just 200 meters close to the center of the village but yet as you can see, are immersed in the green! Below the houses extends a vineyard with 500 vines from which we make our own wine! 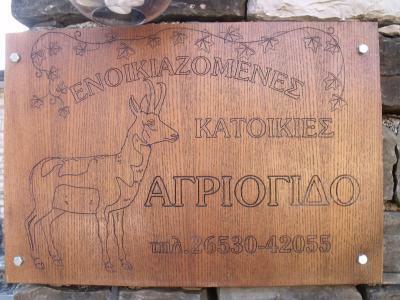 House Rules Agriogido - Rupicapra Apartments takes special requests – add in the next step! Please note that the first usage of the fireplace is free of charge. For each additional usage there is an extra charge. Also, guests may book the rooms as an individual villa, upon request. Kindly inform the owner in advance in case you wish to use the fireplace. The rooms were a bit dusty and could do with a bit of spring cleaning. Friendly host, nice morning view, big room. Papingo is a perfect place, and Rupicapra is a perfect place to stay, George, is the owner, kept in touch since the day we booked, and provided before arrival and during our stay. Perfect hospitality. Thank you George. Wierd, loud, squeeky noise coming from the water pipes, even when someone in another aparment turns on the water. Too much light coming through the curtains. The kitchen could be a little better equipped. Not enough dishes I the kitchen. Only suggestions would be to provide some more kitchen utensils as these were in short supply. Also the TV didn't seem to work which was only an issue as we wanted to watch the World Cup (went to a taverna instead which was fun). - The advertise and charge as hotel. Actually there is no service , not cleaning the room / changing sheets, no breakfast. - Vila’s owner didn’t come to meet us and check if we need anything , only when we checked out. - there is great view but no seats outside to enjoy it. We prepared our breakfast by ourselves and planed for equipped kitchen - actually it is missing basic ingredients like salt, oil. The room booking was for 7 people and the dining table is 1 meter long by half meter width and only 4 chairs. - the vila’s maintenance is very low. - TRY Another place.